Neil Kazenzakis does whatever it takes to have a normal life…He is a popular coach and teacher, and a single father to his son, Christopher. A few years back, a terrible accident left his wife severely disabled and in a nursing home, an unimaginable tragedy and nightmare for any parent and spouse. But he’s keeping everything together…Sortof. His son has had a few struggles, there are politics in his neighborhood that he’d like to avoid completely, and he has been spending time with his ex-mother-in-law’s nurse on the sly. When he breaks up a fight one day after school, everything starts to go downhill. A video is posted online that can quite possibly cost him his job and mean a possible law suit, his girlfriend has a surprising announcement, someone has started sending him horrible harassing emails, and, in short, his life is about to shatter into a million pieces. Can Neil sort out everything before he loses everything good in his life? 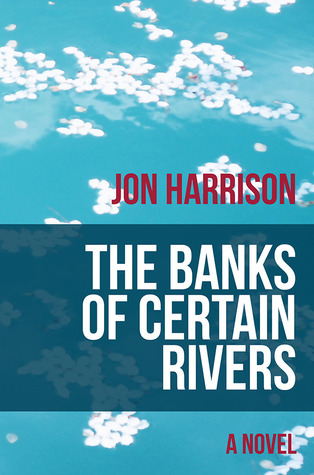 The Banks of Certain Rivers, by Jon Harrison, is a heart-wrenching, gut-punching dose of the harshness that is real life, and the struggles we much through trying to stay afloat when everything seems to go against us. A touch of mystery and suspense mixes with true humanity in an excellent example of modern fiction that just about any reader will enjoy. If you need reading material about humanity, in all it’s pain and beauty, The Banks of Certain Rivers is an obvious choice. Satisfaction guaranteed.